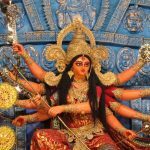 One of the symptoms of the people of Kaliyuga described in the Vedic scripture, even before the Kaliyuga began, is manda-mati, meaning they will be less intelligent or will lack good intelligence. Nothing derogatory but hats off to the Vedic scripture for being so accurate in each and every prediction they have made. Not a single prediction has turned out to be wrong and there is no doubt that all predictions made by these eternal and infallible scripture will come true. Most people’s lack of interest in taking advantage of observing Purushottam month despite its immense benefits described in the Vedic scripture is just another proof that Vedic predictions are correct. Today’s people would run to see someone known as a celebrity and take great pleasure in taking a selfie or shake hands with such a person. They would spend money to see a bunch of people running around kicking a ball during a football match. They would find themselves special if they happen to be in the front row watching a club dance or even fight to walk next to a political leader. They do all kinds of silly things but when you tell them about something like Purushottam month, they turn away. Why? For the same reason; manda mati, or lack of good intelligence. But Lord Krishna is extremely merciful and wants to save His children from such pathetic mental condition. For that He provides many wonderful opportunities to the people of Kaliyuga so that they can easily earn good merits and develop good intelligence enabling them to understand their real business in life as against the ongoing madness in the name of enjoying life. Purushottam month, also known as adhik mas or adhimas (additional month) is one such amazing opportunity. 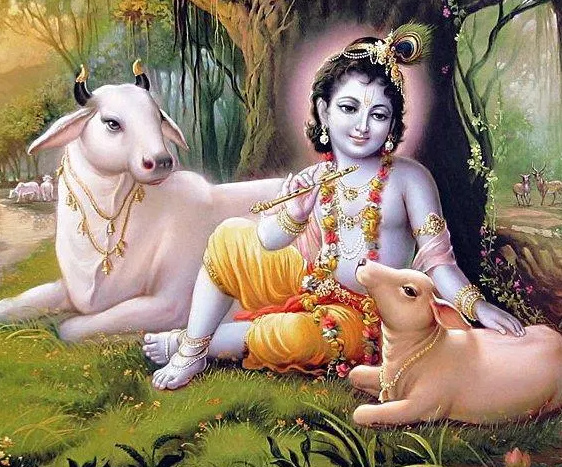 This month comes once every three years and is considered the best of months for having received a unique benediction from the Supreme Lord Krishna. So much so that the month received the name of the Lord Himself, Purushottam month. Purushottam, or Purusottama, means the supreme personality. Vedic books are full of glories of Purushottam month. The following a short text taken from an article by Srila Bhaktivinod Thakur published in the Gaudiya Magazine of 14th July 1928. There are normally 12 months in one year. In line with Varna and Ashrama, various pious activities to be performed have been described for the 12 months. When the 13th month is joined with the 12 months, it comes to be known as the Adhimasa or Karma-hina month in which no Karmic activities concerning piety can produce results. This month appears every three years. The Brhannaradiya Purana describes the Purushottam month. Adhimasa, the chief of all months, feeling sad due to the humiliatory ideas associated with itself, approaches Lord Narayana in Vaikuntha and explains the situation. Lord Narayana subsequently takes Adhimasa along with Him to Lord Krishna in Goloka. Lord Krishna, hearing malamasa’s sadness, overcome with compassion, speaks as follows. Serve Lord Purushottam with utmost care. This service to Lord Purushottam is the greatest sadhana and the greatest provider of results. Recite mantras such as the Govardhanadharam mantra (govardhanadharam vande gopalam goparupiṇam gokulotsavamishanam govindam gopikapriyam) with bhakti and you will attain Purushottam deva. 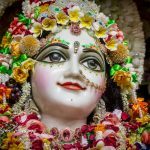 Meditate on Srimati Radharani along with Lord Krishna who is the color of a fresh raincloud having two hands holding a Murali flute, dressed in yellow garments. One should follow the vrata in the way in which Damodara vrata is followed, offering lamps for the pleasure of Bhagavan Purushottam, either with ghee or if that cannot be afforded, then with sesame oil. Vratis shall take a bath before brahma muhurta, then perform achamana and apply tilaka, shankha and chakra with Gopi chandan. Performing puja of Sri Sri Radha Krishna is to be done in this month. Purushottam Sri Krishna is the main lord of this month. There are additional services that can be done such as offering 16 articles of worship to Sri Krishna, bathing early, etc. Listen to Srimad Bhagavatam with devotion. Worship the Shalagram Shila. In he who follows this vrata, all the holy places and devatas reside. 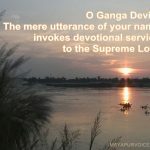 Service to vaishnavas is of great importance during this month. Those normally engaged 100 percent of the time in bhagavata dharma should, in Purushottam month, one-pointedly engage in devotion taking sri-bhagavat prasada according to the rules, and, according to one’s goal, engage in Hari-shravana-kirtana. 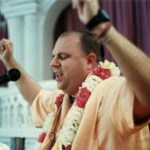 There are other processes and rules of following the vrata for those not involved 100 percent in devotional service. Some people take haviyshanna during this month. Srila Suta Gosvami says one should follow this vrata to avoid misfortune. The starting tithi is Amavasya at the beginning of the month and the ending tithi is Krishna-paksha Chaturdashi at the end of the month. 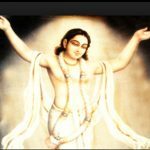 It is only the mercy of Lord Sri Chaitanya Mahaprabhu and His pure devotees like Srila Prabhupada that today, the people of Kaliyuga are also showing increased interest in pure devotional service enabling them to progress quickly on the path of Krishna consciousness, the ultimate goal of life.